Disney has been no stranger to philanthropic endeavors. Social media campaigns like “#ShareYourEars” helped raise over $2 million dollars for the Make-A-Wish Foundation just earlier this year. It was a very popular campaign, and you might have even participated yourself. What you might not yet have heard is that Disney also makes efforts to promote the restoration of public parts – in fact, recently the company has helped sponsor, develop, and refurbish public parks throughout Anaheim near the Disneyland Resort. 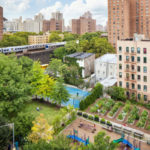 Perhaps one of the most interesting and generous efforts by Disney is sponsoring a community garden park and playground in the middle of a bustling, urban neighborhood in East Harlem, New York. 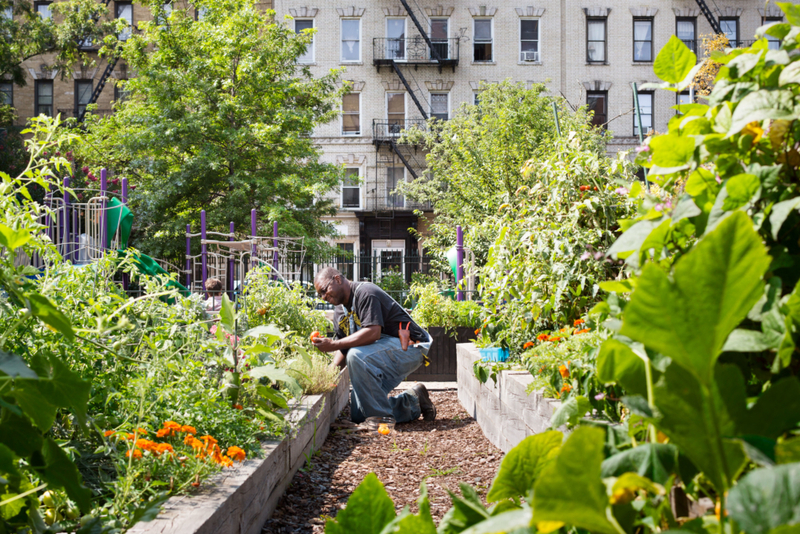 The 103rd Street Community Garden was formerly a vacant, “trash-filled” lot. 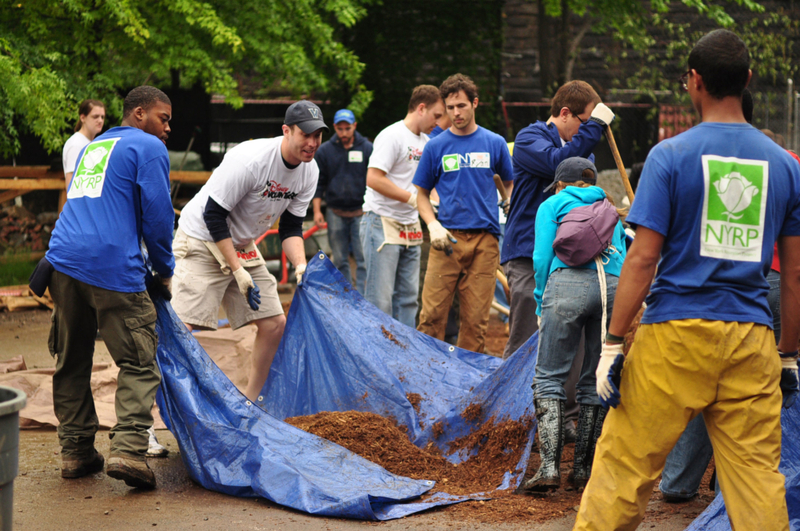 It wasn’t until the New York Restoration Project (NYRP), SCAPE, and The Walt Disney Foundation decided to turn it into a green space in 2004 and then finally, in 2011, transform it into the vibrant, community space that it is today. 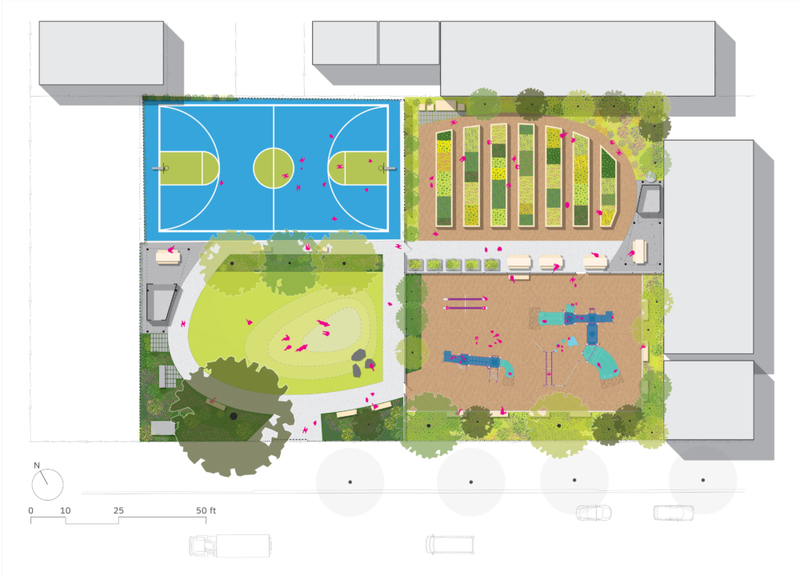 The diverse space includes a Disney Junior inspired playground, basketball court, open lawn, performance space, barbecue grill, shade structures with rain barrels, and vegetable plots. 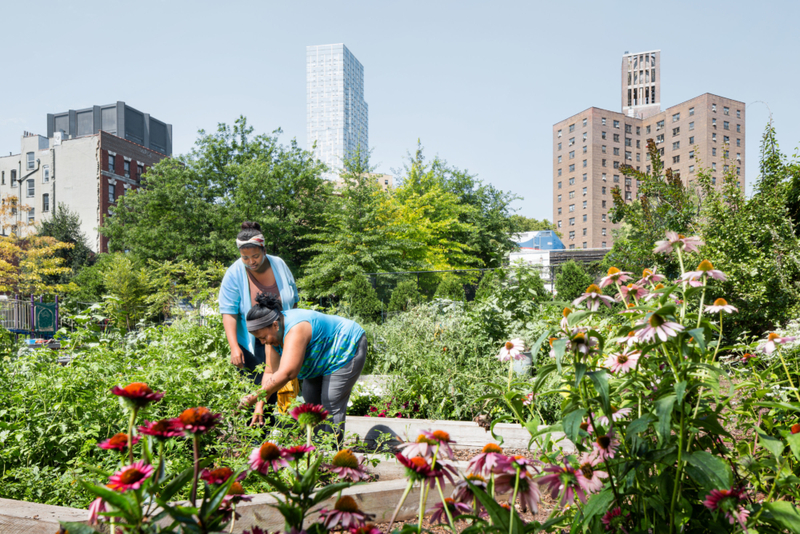 “To me this garden is a reflection of our community, where elements from all over the world are transplanted on fertile ground and along with the native species grow deep roots, blossom and bear fruit. 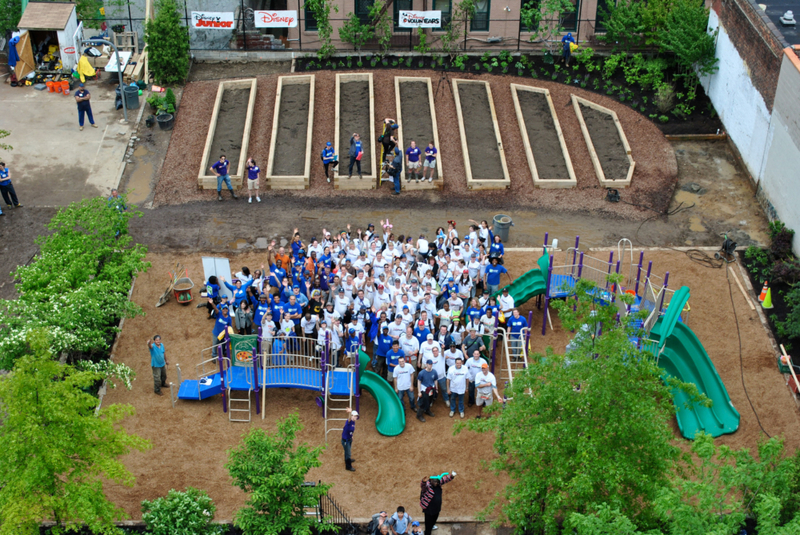 I am most grateful to NYRP and its entire dedicated and wonderful staff who have made this all possible,” said Robert Cruz, local community member. 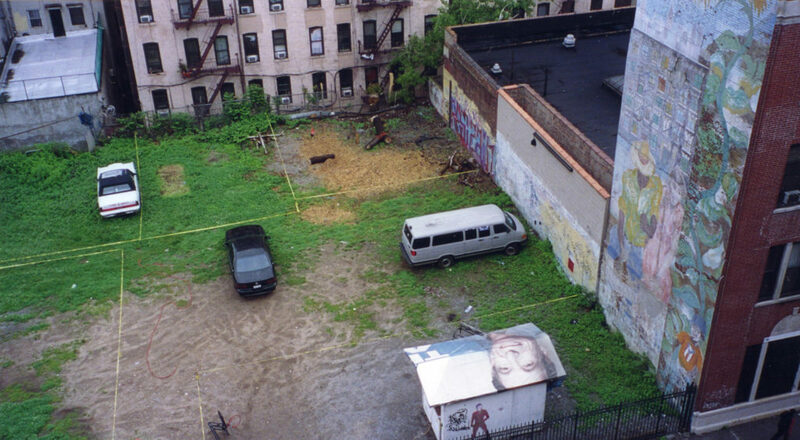 The area in which the park was built is “primarily Hispanic” with “numerous schools, six NYCHA developments and many multi-story apartment buildings.” It has been regarded as a “historically underserved” neighborhood in East Harlem. 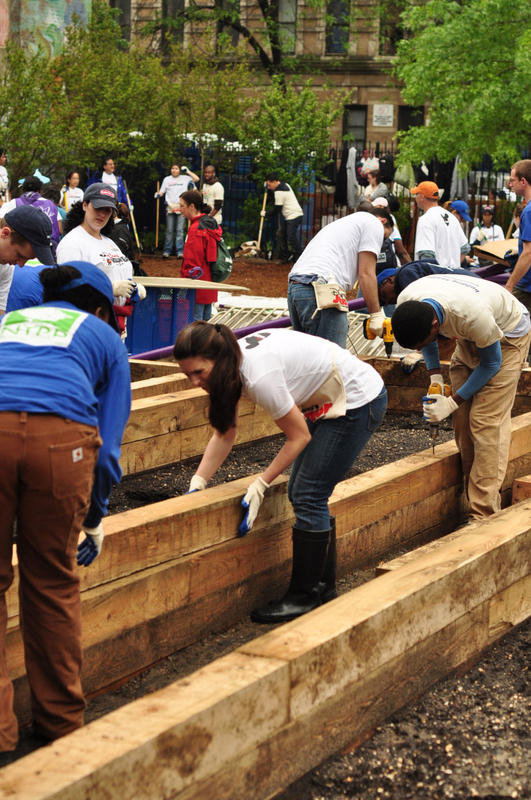 This effort not only helped create a vital gathering space for community growth, but engaged and inspired the community to create something for themselves by volunteering their time, insight, and energy into making plans for the park a reality. 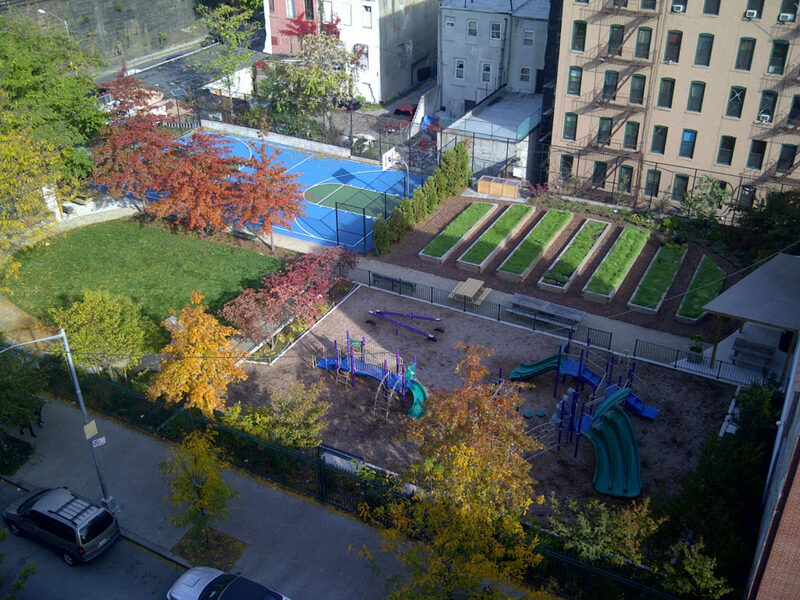 In 2012, the park received a NY ASLA Award for Collaborative Design. It’s admirable to see a company like Disney, which has such a great effect on the way we view culture, use their resources to go beyond simple entertainment. Next time you’re at a local park, keep an eye out for traces of Disney magic – you never know where you might see it.